GALAPAGOS was once called project/yacht name Arctic Fantasy. This 69 metre (226 ft) luxury yacht was built by Oy Laivateollisuus Ab in 1972. Motor Yacht GALAPAGOS is a significant superyacht. She is a older converted private yacht. The firm of naval architecture that made her design work on the yacht is Laivateollisuus. Luxury yacht GALAPAGOS is a quality yacht that can sleep a total of 16 guests on board and has approximately 20 crew members. The owner of GALAPAGOS wanted to keep the exterior as close to the original specification as possible however he required all interior spaces be transformed into a luxurious motor yacht. 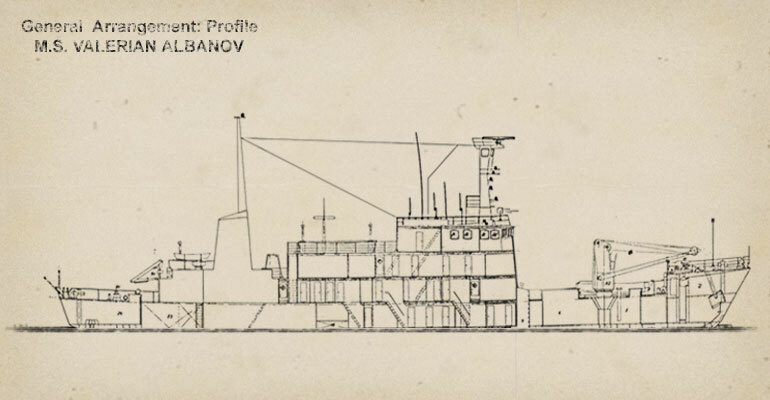 Some of the modifications to the decommissioned Russian research vessel include a 42-square-meter owner’s suite, four guest suites, a formal entrance lobby and private office and a bow to stern lounge deck featuring interior and alfresco viewing areas to name a few. The yacht was also fitted with a fin stabilizer system, boarding ladders, and a large commercial galley and laundry facility. Laivateollisuus was the naval architect involved in the formal vessel design work for GALAPAGOS. Also the company Laivateollisuus skillfully worked on this project. Built by Oy Laivateollisuus Ab this vessel was completed within Finland. She was successfully launched in Turku/Abo in 1972 before being delivered to the owner. A fairly large area is manifested with a widest beam (width) of 11.87 metres or 38.9 feet. With a 4.15m (13.6ft) draught (maximum depth) she is fairly deep. The material steel was used in the building of the hull of the motor yacht. Her superstructure above deck is fashioned with the use of steel. In 1999 further refitting and updating was in addition finished. The RBV 6M 358 engine powering the yacht is made by DEUTZ-MWM. Her propulsion units are a single screw propeller. The main engine of the ship creates 2200 horse power (or 1619 kilowatts). She is equiped with 1 engines. The combined output for the boat is 2200 HP / 1619 KW. 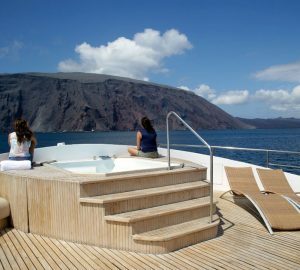 Having bedding for a maximum of 16 yacht guests staying on board, the GALAPAGOS accommodates them luxuriously. Normally the vessel uses approximately 20 capable yacht crew to manage. 68.86 metres / 225.9 feet. Total engine power output 2200 HP /1619 KW. 9000 at a speed of 14 knots.